Jennifer Morrison Leaves House M.D. - Season Six 2009 Premiere Jennifer Morrison Leaves House M.D. CHICAGO – While FOX hasn’t yet confirmed the news, reputable publisher Entertainment Weekly has exclusively reported that Jennifer Morrison is leaving Hugh Laurie’s “House M.D.” with her final episode to air in Nov. 2009. The report cited anonymous sources. Jennifer Morrison has played Dr. Allison Cameron in “House M.D.” from 2004 to 2009. Morrison has played the regular “House M.D.” character of Dr. Allison Cameron from 2004 to 2009. In the Entertainment Weekly report, it was also mentioned that Jennifer Morrison’s representatives also haven’t confirmed the news at this time. She would be the first of the TV show’s original cast members to leave the series. With her final episode reportedly airing in Nov. 2009, Entertainment Weekly reports that she shot her last scene early last week. The report also cited earlier suspicious of this news when Morrison was absent at the show’s 2009 premiere screening in Hollywood. The report says she will not be killed off, which means she could make a guest appearance in the future. Jennifer Morrison also appeared in 2009’s “Star Trek” as well as “Mr. & Mrs. Smith,” “Mall Cop,” “Grind,” “The Edge,” “Girl Fever,” “Dawson’s Creek” and “Miracle on 34th Street”. She is currently filming 2010’s “Warrior”. The 2009 season-six premiere of “House M.D.” put up dominant numbers for FOX. The premiere surprisingly fell just shy of reality juggernaut “Dancing With the Stars” – that is, in its second hour. 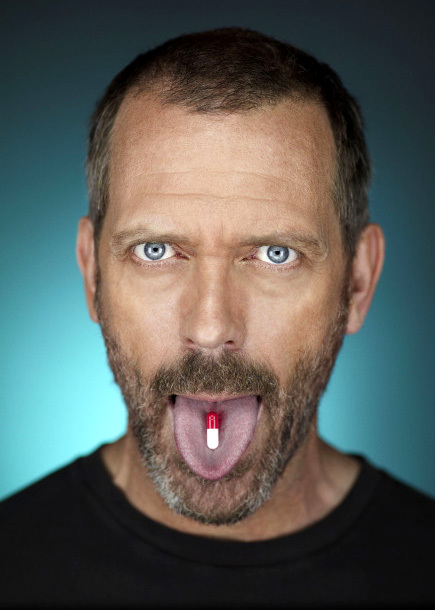 The 2009 “House M.D.” premiere actually gained viewers in hour two over hour one. In addition, the 2009 season premiere of “House M.D.” powerfully blew away the 2009 premieres of NBC’s “Heroes,” The CW’s “One Tree Hill,” “CSI: Miami” on CBS as well as ABC’s “Castle”. The numbers for the Sept. 21, 2009 season premieres can be found below, according to TVOvermind. Read our full review of the “House M.D.” 2009 season-six premiere! “Broken,” which was “House M.D.” episode 6.1, was the special two-hour season-premiere episode that aired on Monday, Sept. 21, 2009 at 7 p.m. CT, 8 p.m. ET and 10 p.m. PT on FOX. Hugh Laurie as Dr. Gregory House in “House M.D.” was trumped by Bryan Cranston as Walter White in “Breaking Bad” for the 2009 Emmy for an outstanding lead actor in a drama series. “Broken” featured Hugh Laurie, Curtis Armstrong, Angela Bettis, Meghan Bradley, Andre Braugher, Luke Davis, Alex Désert, Megan Dodds, Norman Fessler, Harrison Forsyth, Andrew Leeds, Ana Lenchantin, Lin-Manuel Miranda, Artemis Pebdani, Jack Plotnick, Franka Potente and Robert Sean Leonard in a cameo role. The trailer for the season-six premiere can be watched now below!